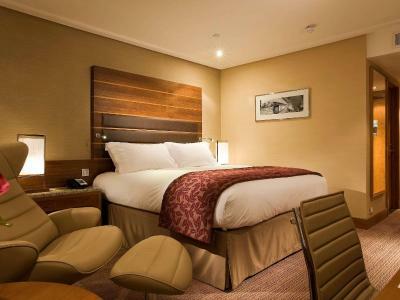 Lock in a great price for Sofitel London Heathrow - rated 9 by recent guests. Breakfast was outstanding and the service was exceptional !! The staff were helpful and polite. The room was very comfortable and the bathroom was spacious and clean. It is a very short walk to the terminal and it is possible to check in bags for British airways flights. Excellent hotel witj great facilities. Excellent service and helpfulness fr9m tje front desk checkin girls. Also uave to recommend booking.com telephone helpdesk for sorting out a small mishap (my fault) in a very efficient manner. Thank you all. Our 1 night stay (this time) was for a 'landmark' birthday - Alma and the whole Housekeeping Team did a fantastic job to prepare the room and make the occasion very special indeed. Really unexpected and appreciated. sooo convenient i was meeting my niece on a flight at 5.35 am. the staff were soo polite and helpful especially with my car. 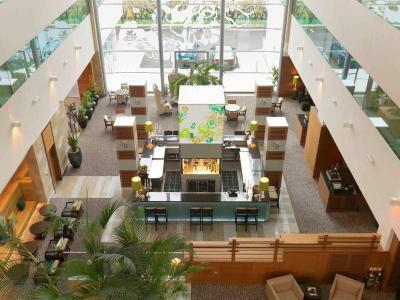 One of our top picks in Hillingdon.The Sofitel Heathrow has direct access to Terminal 5 via a covered walkway. 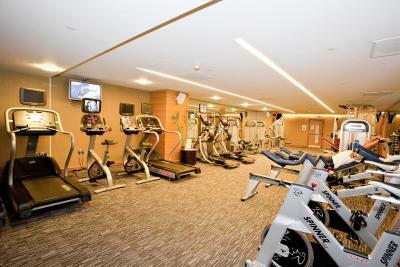 It has a modern health spa, a 24-hour gym, 2 bars and 2 restaurants. 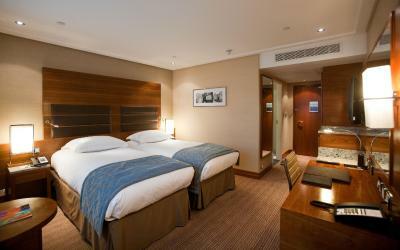 Central London can be reached with direct train services from Heathrow Airport. 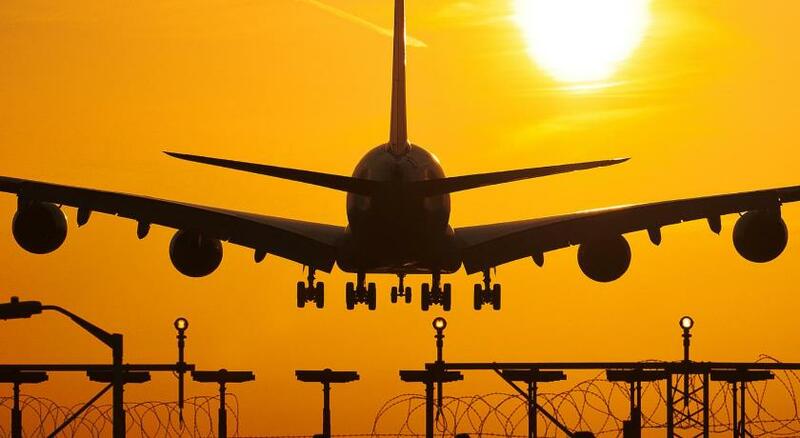 The hotel boasts panoramic views of the airport thanks to its location. All of the spacious air-conditioned bedrooms have free Wi-Fi, satellite TV, a bathroom with separate bath and shower, and 24-hour room service. 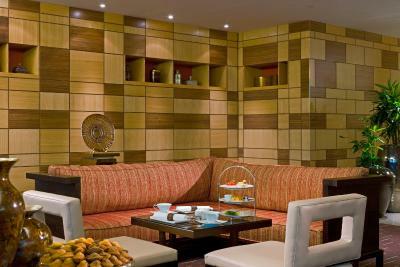 Guests can unwind and watch Sky Sports on a large TV screen in the Sphere Bar, or have tea and cakes in the Tea Salon. 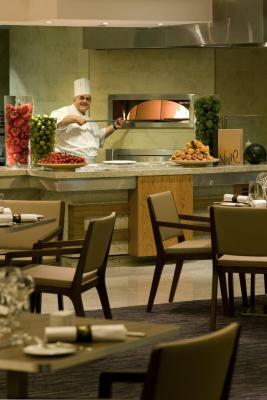 La Belle Époque restaurant serves fusion French cuisine in stylish surroundings and the Vivre Restaurant offers a menu of international cuisine. 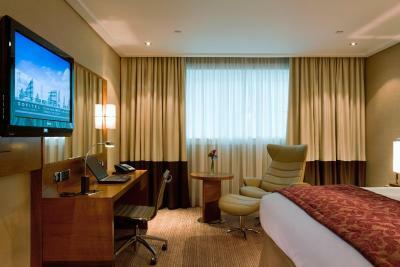 The 5-star Sofitel London Heathrow is 21 minutes from Central London by train from Terminal 5 Rail Station, which is a 5-minute walk away. This property also has one of the best-rated locations in Hillingdon! Guests are happier about it compared to other properties in the area. 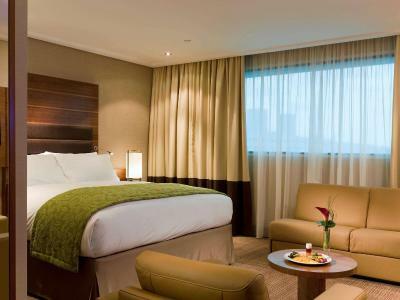 Sofitel London Heathrow has been welcoming Booking.com guests since 6 Jun 2008. 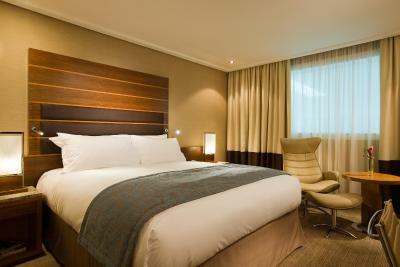 When would you like to stay at Sofitel London Heathrow? 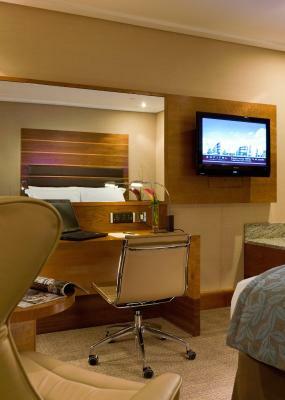 Spacious room with free breakfast, free Wi-Fi, and club-lounge access. 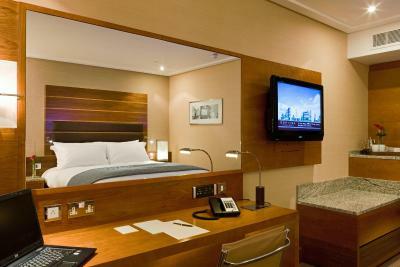 It also benefits from a king-size bed and an additional TV in the bathroom. Private parking is possible on site (reservation is not needed) and costs GBP 18 per day. 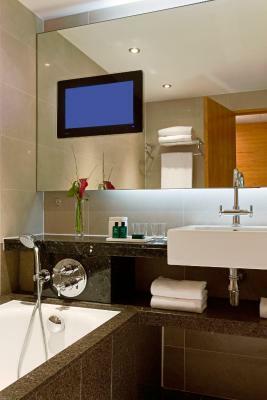 Features a flat-screen TV, a bathroom with bath and separate walk-in shower, and free internet. Some rooms have internal Zen Garden views, and interconnecting rooms available (on request). This room comes with a king-size bed,en-suit bathroom with bath and separate walk-in shower and and free high-speed internet access. This suite features free WiFi or broadband internet access and a selection of free soft drinks and alcoholic beverages in the minibar. The suite also includes free light breakfast in the Club Millesime and access to The Spa Hydro Suite and Club Millesime Lounge. 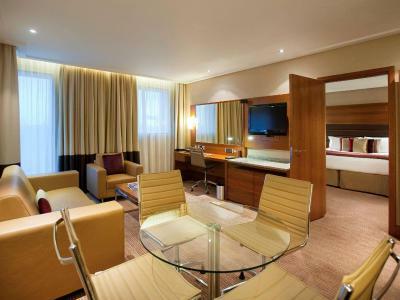 This suite features free WiFi or broadband internet access, separate living and dining area with a flat-screen TV and a selection of free soft drinks and alcoholic beverages in the minibar. 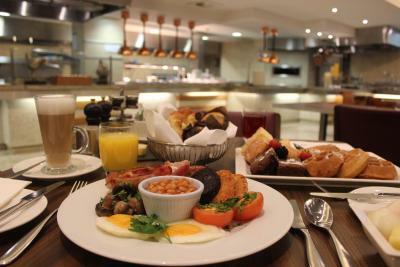 The suite also includes free light breakfast in the Club Millesime and access to The Spa Hydro Suite and Club Millesime Lounge. 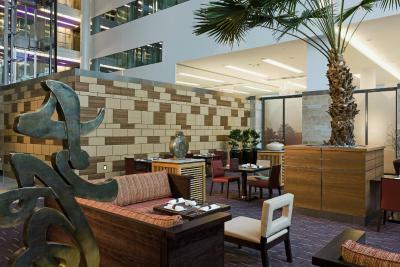 House rules Sofitel London Heathrow takes special requests - add in the next step! One child under 16 years is charged GBP 20 per night when using existing beds. 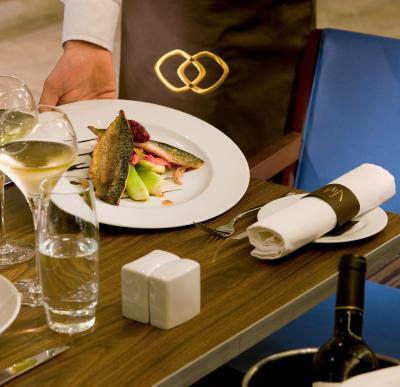 Sofitel London Heathrow accepts these cards and reserves the right to temporarily hold an amount prior to arrival. Minors under 18 must be accompanied by parents or legal representatives. Third person named by parents must present their written authorization (certified signature). 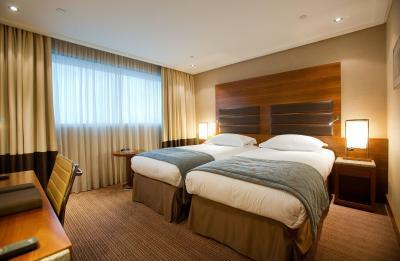 Sofitel London Heathrow is directly connected to Heathrow T5, only 4 minutes' walk via a covered walkway. BY ROAD - from the North, South or West: exit at Junction 14 on the M25. From the East, exit at Junction 4 on the M4, then follow signs to Heathrow Terminal 5. 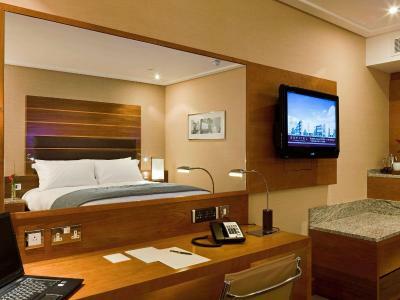 BY TRAIN take the Heathrow Express Rail to T5 and by UNDERGROUND take the Piccadilly Line to T5, then follow signs on the Arrivals level for Sofitel, directing you to the lifts and footbridge which take you directly to the hotel. There is a Hoppa bus shuttle service available to and from Terminal 4; this service is chargeable and runs every 19 and 49 mins past the hour - take the H53 or H56 bus, Hoppa bus shuttle is an independent service not related to the hotel. Please note parking is only for the duration of your stay. 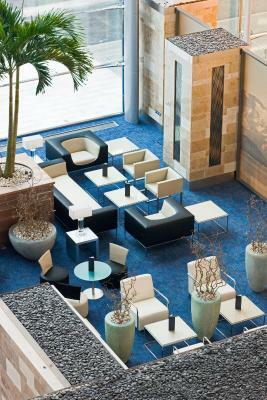 However, parking packages can be arranged with the property after booking. 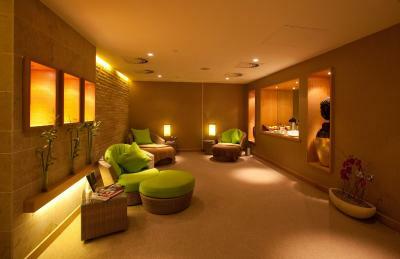 Please note that the credit card used to book must be presented on arrival. The hot breakfast was Not hot.. The hairdryer is attached to the drawer and not very good. The hot water in the shower was variable. I would not recommend it as a place to stay if you want to go anywhere else but terminal 5. Love the British Airways check in on site! Took a bit of finding from the underground from central London. Didn’t know that I cannot find the hotel from the departure lounge only from arrival lounge. Better signposts maybe would help.